The high-tech industry is eyeing automotive opportunities because its own industry growth is slowing and large outside opportunities are needed to keep up its traditional growth rate. The high-tech industry is also entering the automotive industry because it can and because its technology is needed and will advance and improve the auto industry in many ways. The automotive to high-tech supplier relationships have been built over several decades and will continue to prosper and grow. The direct competition between automotive and high-tech is recent, but it will grow significantly. The high-tech industry is rapidly generating new and expanding content for car infotainment systems, which will be delivered via wireless connections and mobile devices. The growth of smartphone apps and cloud content is especially significant. Most new car models will eventually be equipped with Apple CarPlay, Android Auto, and/or similar app integration systems. This report covers 17 high-tech startups that have a variety of products to enter the auto industry. Another eight companies are also included with less detailed information. There are seven start-up companies that are planning to make BEVs, self-driving BEVs, and/or provide ride-hailing services with future driverless cars. 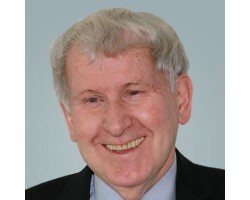 Dr. Egil Juliussen is Director of Research, Automotive Technology at IHS Markit, where he leads research on technology forecasting, competitive analysis and market forecasting. He has more than 30 years of experience in the computer, communications, Internet and telematics industries.